Nashville, TN. 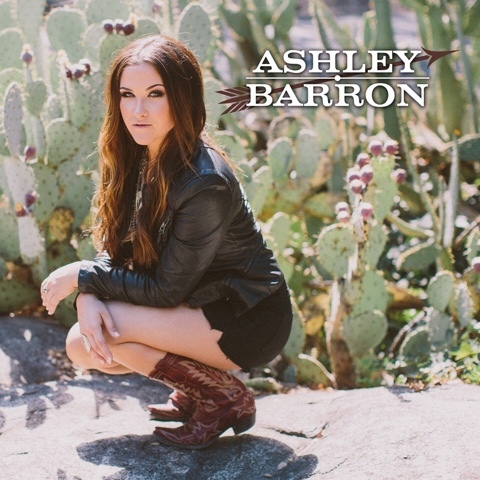 (Aug. 8, 2017) — Newcomer Ashley Barron will make an explosive entrance to the country scene with her debut single “It Might Get Loud” on Aug. 18. Produced by Barron and Bobby Zoppi, the high-powered, party anthem track illustrates the 23-year-old’s edgy personality and dynamic vocal range. Barron announced the release date for “It Might Get Loud” with an exclusive appearance on Good Day Sacramento on Saturday. View her performance HERE and HERE. A California native, Barron’s southern soul derives from her family’s Kentucky roots. Her love for the outdoors - hunting and fishing in the mountains or making a wake on the water - has inspired her invigorating musical style. "Music is a part of my soul. I want to share the magic I find in music with others. Whether that's letting loose on a Friday night or diving deep into something so close to you." Barron will celebrate "It Might Get Loud" with a special release party in Sacramento, CA. on Aug. 18. But the party won't get too loud. The following morning she is slated to perform on the California State Capitol steps for the Make-A-Wish 19th annual "Walk for Wishes" 5k to benefit the courageous local children battling life-threatening medical conditions.